There’s nowhere Chicagoans would rather be in the summer than by the lake – the ideal place to lay out, play volleyball with friends, or grab a cool drink. The best part? 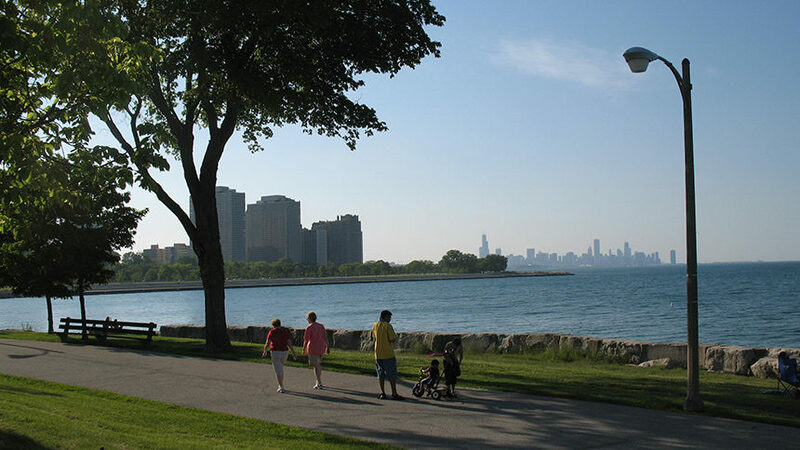 Getting around is easy thanks to the Lakefront Path, an 18-mile trail that traces the edge of Lake Michigan. Easily accessible from the Ambassador, the path skims along 13 neighborhoods, connecting Chicago’s north and south sides while taking you past a series of parks, museums, sports fields, and marinas. While it’s enough to just walk, run, or bike down the path – or even kick back at one of the many beaches that dot the shore – there are plenty of extra experiences to be had along the way. 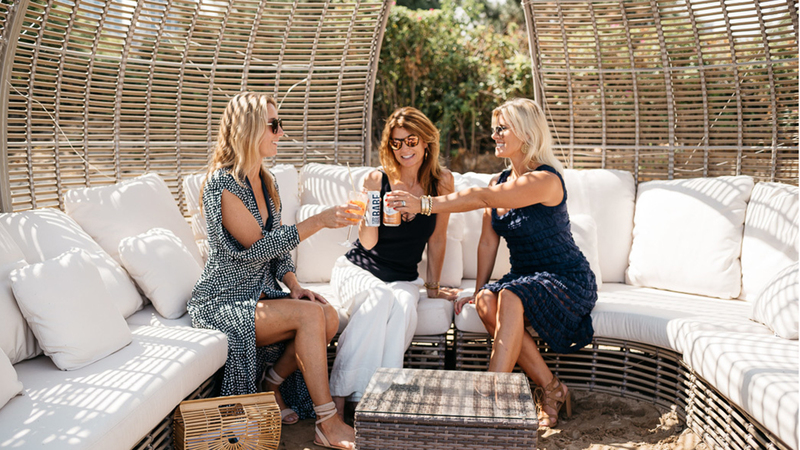 Whether you’re seeking a little serenity, the perfect selfie, or a round of drinks at sunset, here are some of our favorite stops to explore. For a postcard-perfect view, capture a panoramic shot of Chicago’s iconic cityscape from the north end of Museum Campus (the stretch between the Shedd Aquarium and the Adler Planetarium). The unobstructed view is Instagram-worthy on its own or becomes the ideal background for a selfie to turn into your next profile picture. 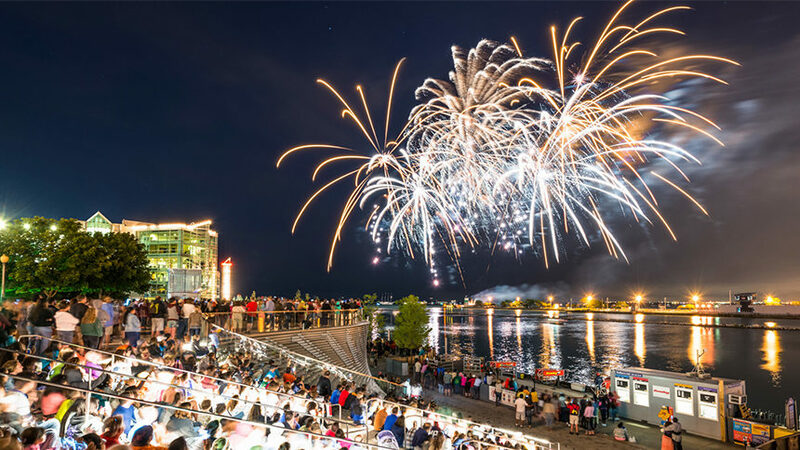 If you’re around on Wednesdays and Saturdays, it’s also the perfect spot for taking in the Navy Pier fireworks, a summer standard from Memorial Day to Labor Day. Toward the southernmost point of the path in Hyde Park lies Promontory Point. It’s a bit further from the fray, but still delivers stellar city views for you to take in. Not only is this a good spot for you to eat al fresco, but the south side of the point is also on the edge of a shallow part of the lake, making it popular for open-water swimming. As the sun slips away, stake your claim at one of the park’s stone fire pits where you can cap off your day by toasting s’mores. We admit that polishing off a bucket of beer at Castaways Bar & Grill at North Avenue Beach, an old standby, is almost a rite of passage for residents during the summer. But if you’re up for a place to see and be seen, the neighboring Shore Club is a more upscale pick. 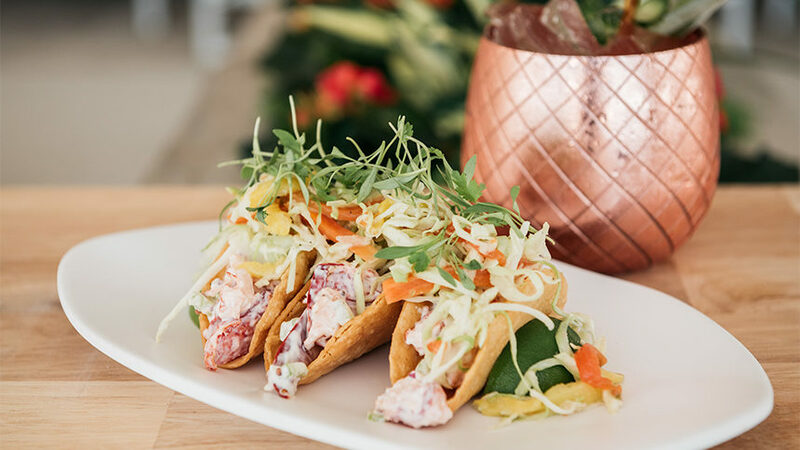 Technically three venues in one, you can score anything from a cold-pressed juice in the morning to Frosé All Day or a Beach Body Margarita (with a side of crispy lobster taquitos, of course). If you’re feeling more of a beachcomber vibe, head north to The Dock at Montrose Beach, which fulfills every seaside bar fantasy you may have. Perched at the edge of the sand, it dutifully serves fruity cocktails, cold beer, burgers, and fish tacos. Give in to the urge to order “just one more round” as the sun sets, the live music starts, and the simple strings of market lights start to sway in the evening breeze. Pack your provisions and head for the shore. While there is an abundance of prime spots to set up your blanket along the path, the grassy expanse between Diversey Harbor and Belmont Harbor is peppered with dandelions and offers a great view of the boats heading out to the lake. The wind also picks up at the waterfront, making this wide-open space a great place to fly a kite or toss a Frisbee. Bonus: If traveling with your furry friend, there’s even a dog beach at the north end where your pup can splash around and play.